Obituary for David Charles Richardson | Doolittle Funeral Service, Inc.
David Charles Richardson of Portland and Eastham, MA, adored father and proud grandfather, devoted and loving husband and brother passed away suddenly and unexpectedly on November 26, 2018. David and his wife, Robin Lea (Yalenezian) Richardson had just celebrated their 50th wedding anniversary this past summer. David worked as a chemist specializing in rubber products. He retired as Technical Director of Airex Rubber Products in Portland where he worked for over 30 years. He loved his job and the people he worked with and returned to work part time after retirement. He was very active in professional organizations including the American Chemical Society. Dave served as President of the Connecticut Rubber Division for multiple terms. He was an active member of the First Congregational Church of Portland for over 35 years, serving on many committees. 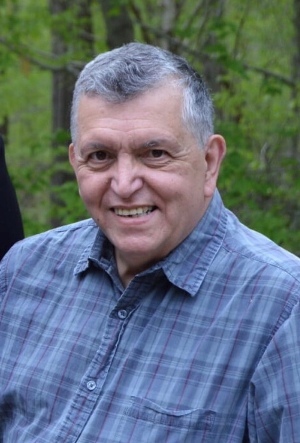 He was an avid reader and expressed his commitment to community and literacy by serving on the Portland Library Board of Directors for many years. Dave loved to watch and discuss sports especially UConn Basketball and the New England Patriots. He enjoyed spending summers at his home in Eastham. Dave especially loved Cape Cod sunsets at low tide. He relished spending time there with family and friends. Dave approached life with patience and humor. He was the rock of his family. His subtle wit and quick smile will be missed by family and friends. Along with his wife, Dave is survived by his son, Mark A. Richardson of Valesta, GA; a daughter, Laura A. Westphal and her husband, Fred of Madison; two grandchildren, Christian and Andrew Westphal, who were the light of his life; two brothers, Stewart Richardson of Londonderry, NH and Leo Richardson of Greensboro, NC and many nieces and nephews. Dave was predeceased by his sister, Margaret “Peggy” Walsh. Funeral services will be held on Monday, December 17 at 11:00 am at the First Church of Portland. Family and friends may call on Monday morning from 10:00 to 11:00 am at the church. In lieu of flowers, donations in David’s memory may be made to First Congregational Church of Portland Memorial Fund, 554 Main Street, Portland, CT 06480 or Portland Public Library, 20 Freestone Avenue, Portland, CT 06480. To share memories or send condolences to the family, please visit www.doolittlefuneralservice.com.